Fantastic place, quiet, great breakfast and food, but also close to the hiking places. For those ones who look for a quiet homestay in a beautiful landscape I only can recommend to go to Clouds Land. It is an awesome place to chill. The rooms are clean and the hosts are wonderful. Truly helpful and friendly people. Never miss their homely food and warm conversations. Peaceful & quiet, only 4 rooms. Rooms are clean and nice. Food is DELICIOUS as the owner, Manoo, has also a restaurant in Kochi. He showed us how to cook some dishes. You can also go hikking and trekking with Vijay who is the best guide you can find in Munnar : altruistic, generous and he knows everything about the region, the forest and tea plantations ! Definitely don't miss Clouds Land and Vijay !! Seriously the best hosts. We are so grateful for their kindness and hospitality. Went above and beyond. Better hospitality than we have experienced at 5 star hotels triple the price. clouds land is amazing! 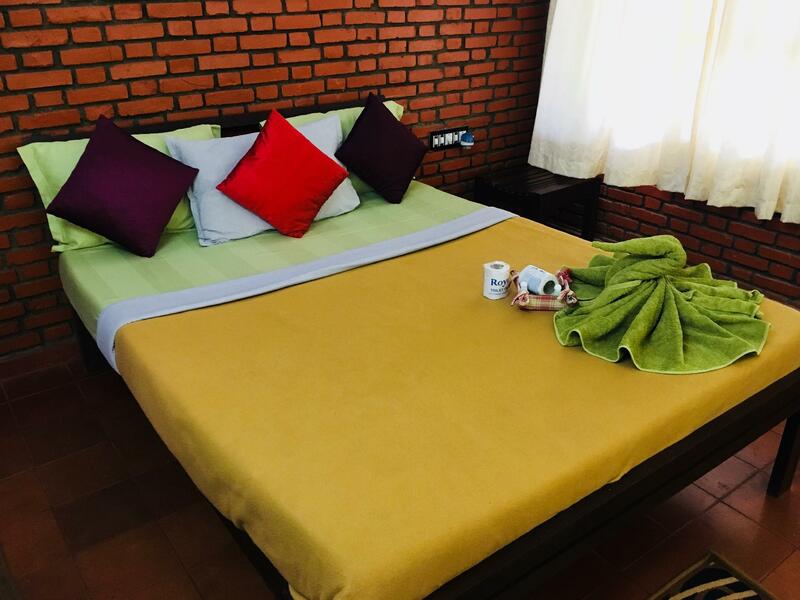 binu is so friendly and nice, ghe trips are awesome and the rooms are very nice too. We stayed 3 nights there and booked 2 Trips- that havebt been expensive. Binu was both times with us and explained everything. At one trip we drive by scooter. Binu and his friend drive slowly and so we enjoyed it and feel very comfortable. The food is very tasty and there is a lot of food! Very nice Atmosphere on the "Reception"- you can sit there on the afternoon where is Muisc and everytime you can ask Binu your Questions. If you ever go to Munnar- you really have to go there. We enjoeyed it a lot! Great place to spend your time alone and away from the busy and noisy urban areas. We were not interested in too much sightseeing, so it was perfect for us. It has a tea plantation close-by and we explored it a bit to find some gorgeous views. 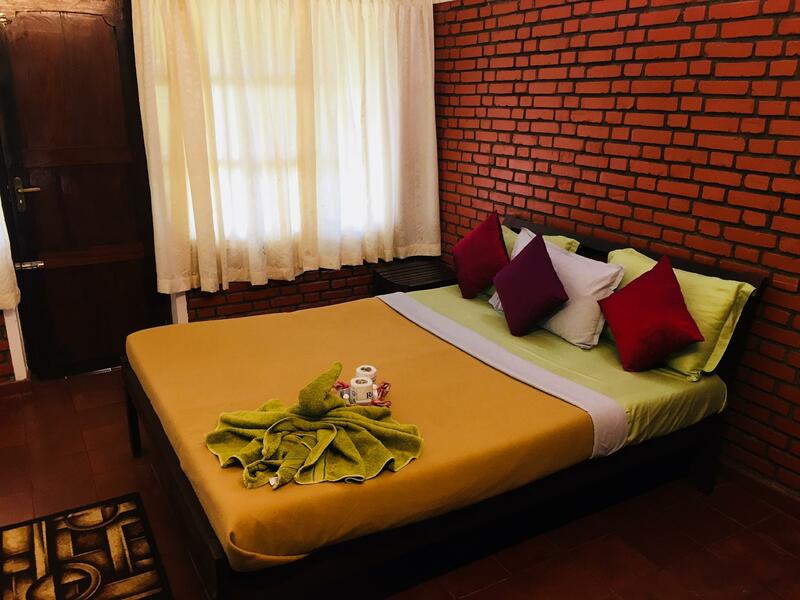 It is about 10 km away from Munnar town, and there are no shops nearby, so ensure that you have enough stock of chips/drinks or other necessary things with you. It is actually in the midst of some thick woods so have some insect repellent/cream with you. The host is also great cook so we did not care to go outside for food. Ultimately, it is the kind and wonderful family that would make me want to go back there. Request: An electric kettle in the room would have been useful. Difficult to find, this good value accommodation is tucked away in the midst of a tea plantation. It's run by 2 lovely, helpful brothers (Manu and Binu). Manu offered to take us on a tour of the plantation and both cooked us delicious breakfasts (coconut and banana pancakes). Although offered, we didn't end up eating dinner here. The room is spacious and fairly comfortable. Would definitely recommend Clouds Land to others. Loved everything about this resort. The hosts are fantastic and couldn't do enough to make us feel comfortable and welcome. The home cooking was fabulous. The location is amazing and inspiring. Would have not reservation in recommending this resort to family and friends. Would love to return to Munnar and stay at Clouds Land Resort again. We arrived with taxi from Kodaikanal and were overwhelmed over the teaplantages on our way up to Munnar. After a bad experience with the hotel Sabari in Kodaikanal we really longed for something better - and Clouds Land was wonderful. We felt like coming to tge Paradise! The room and the bathroom were clean, quite simple but we found what we needed. The balcony was great with a wonderful view thriugh the trees. Manu took very good care of us, served us good brakfast and dinner, helped us with trekking in the teaplantage. We surely will recomend Clouds Land to our friends. Clouds Land was fine, but maybe a bit overpriced as it's fairly basic accommodation. I loved my two night stay at Clouds Land. Binu was a great host -- he cooked the delicious meals every night, set me up with a tour guide for an amazing one-day trek into the hills, and even offered to take me into town on his motorbike on the last day to help me organize my bus back to Kochi and find some good Keralan food. The hotel is about 30 minutes from Munnar town, but this is a good thing -- it is peaceful and quiet and the beautiful tea plantations are right on your doorstep. If you need to go into town for a bus or tour, the hotel's staff can easily arrange transport for you. Highly recommended, and the warmth of the staff was a real plus! Thanks Binu! Great. we only stayed for one night, but I wished we could have stayed for more. Manu and his staff makes this place a perfect stay in Munnar. Although monsoon period isn't the best season to visit Munnar, clouds land is an ideal place to visit the tea plantations. Nous avons été déçus par les chambres, dont mes draps de lit étaient déchirés et le ménage approximatif. Dommage, car l'environnement est magnifique et le personnel trés prévenant. Waren für 2 Nächte im Clouds Land.Sehr schöne,ruhige Lage.Insgesamt nur 4 Zimmer ,geräumig,sauber und mit Balkon.Man hat uns ein ausgezeichnetes Abendessen zubereitet in familiärer Atmosphäre.Uns wurde bei Abreise morgens um 4 Uhr frischer Kaffee gekocht.Sehr netter Inhaber.Hier fühlt man sich wohl.